Welcome to our new website for our Rochester Roofing services. CityWide Roofing Rochester has been helping homes and businesses in the Rochester New York area keep and replace their roofs for decades. We can offer guidance through the entire process. 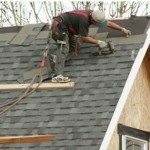 Roofing services include repair and replacement for residential or commercial buildings. Please visit our pages and call with any questions. Thank you for your interest.